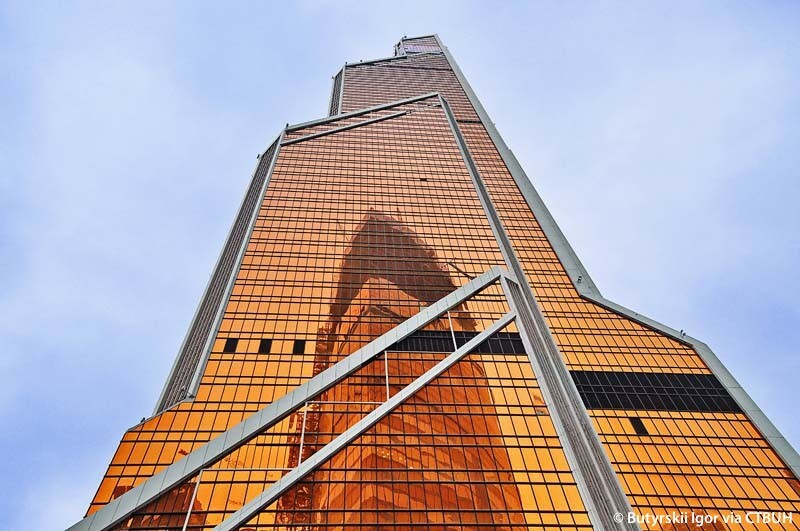 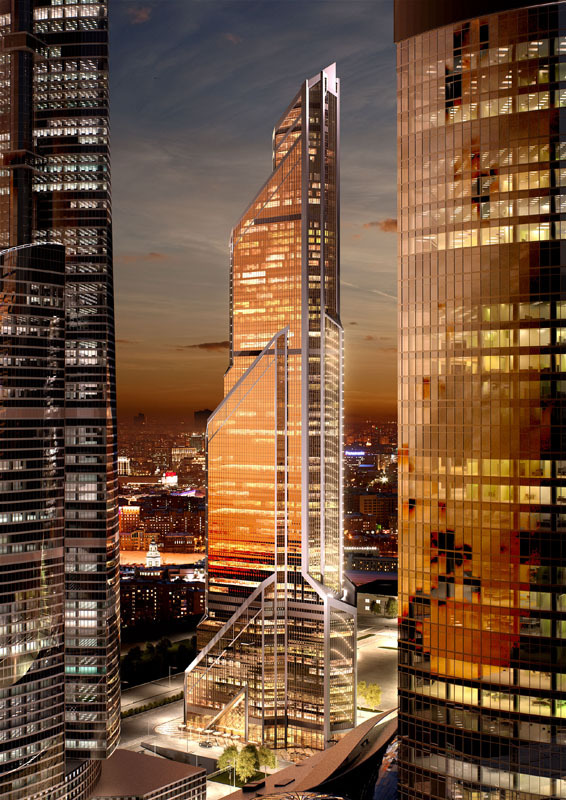 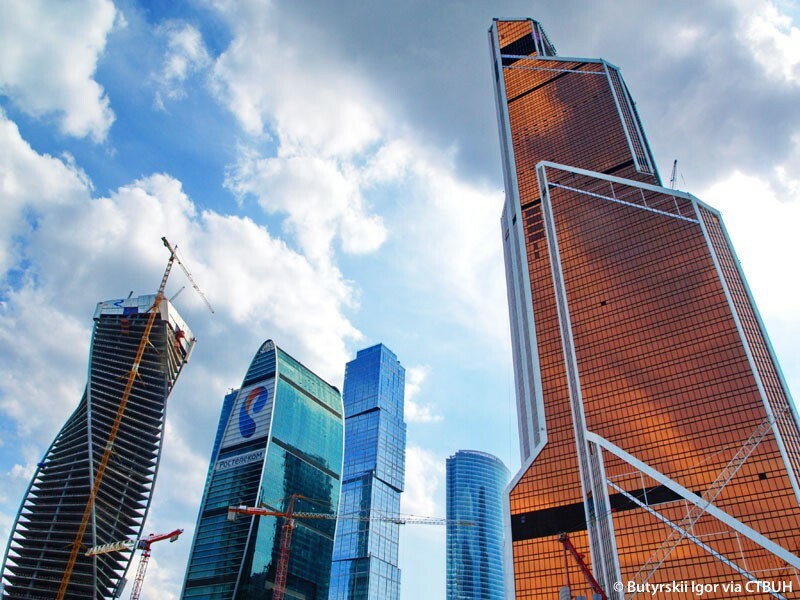 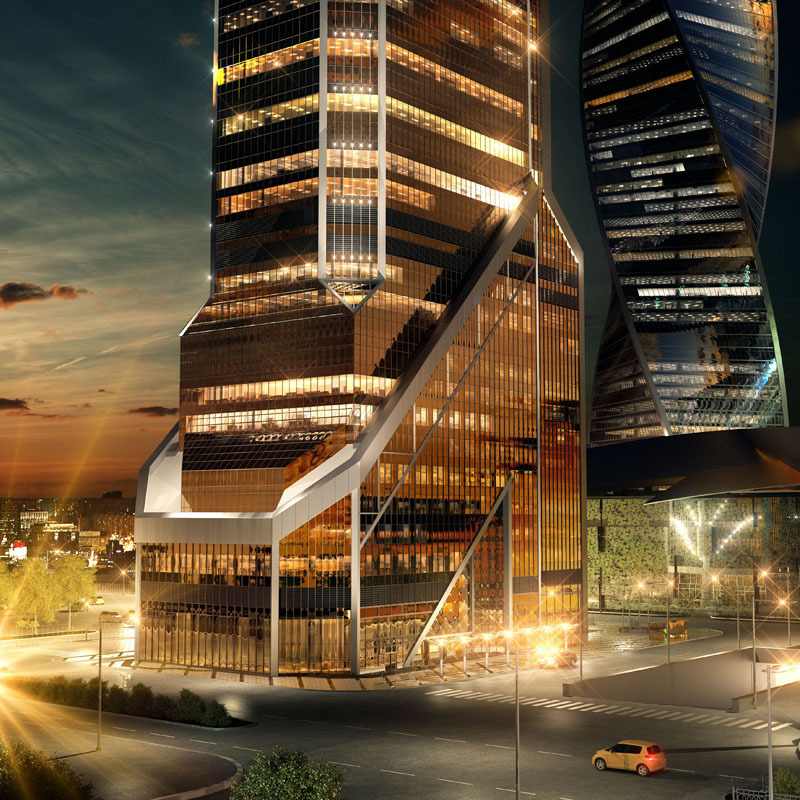 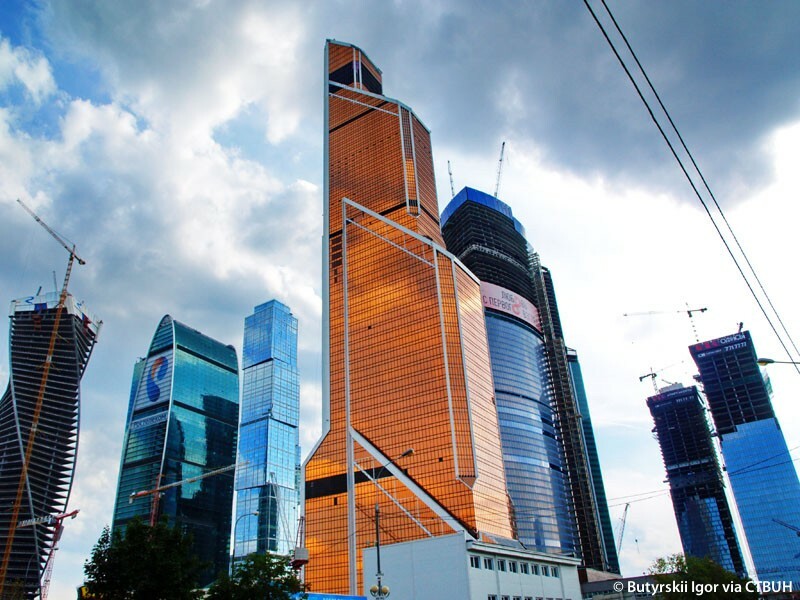 Mercury City Tower is located in Moscow’s bustling International Business Center, a collection of high-rises similar in nature to London’s Canary Wharf and Paris’ La Defense, though it is intended to be much larger in scale. 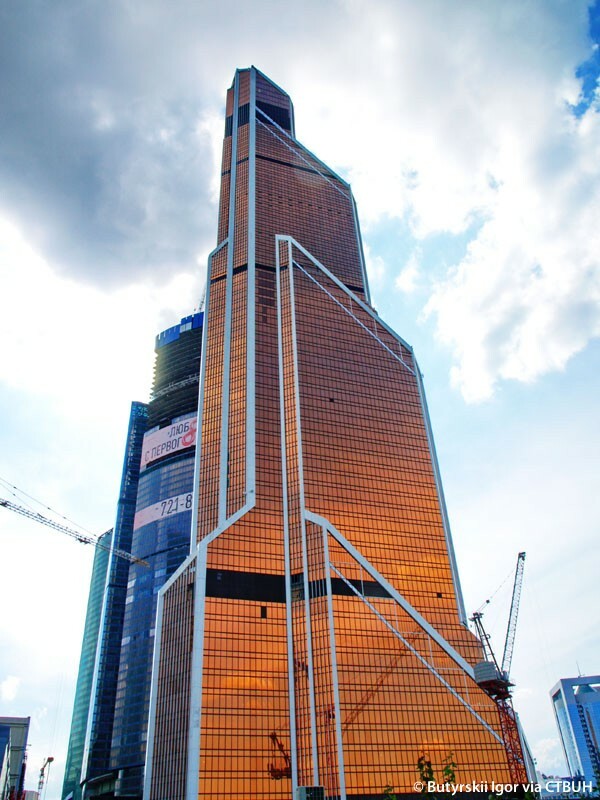 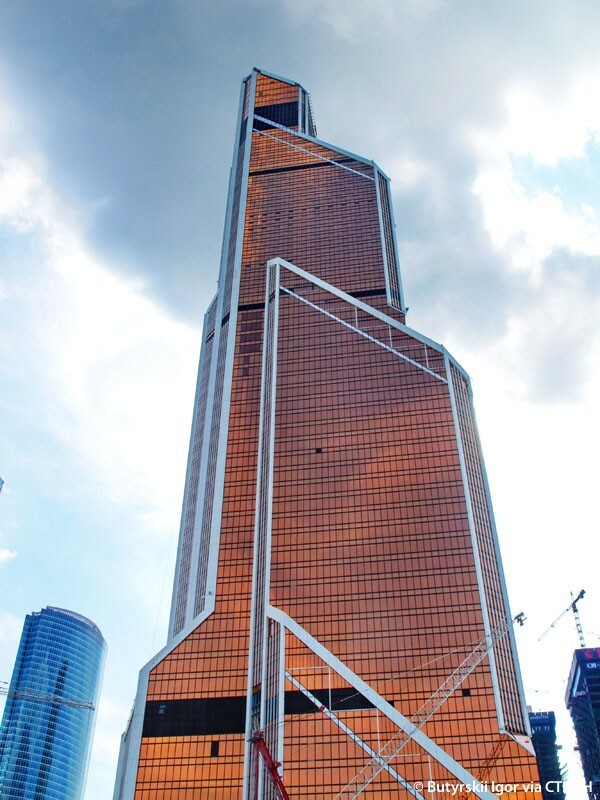 The tower’s distinctive shape allows it to stand out in a busy skyline, but more than its shape, its blazing copper-colored cladding is what makes it unique. 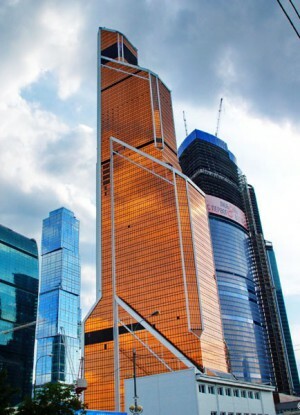 The building was originally designed to be surfaced in reflective silver glass in order to mirror the buildings surrounding it, but eventually came to be wrapped in equally reflective bronze-tinted glass. 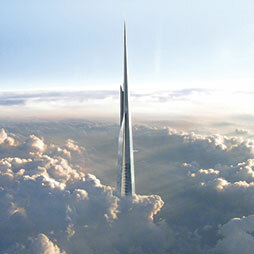 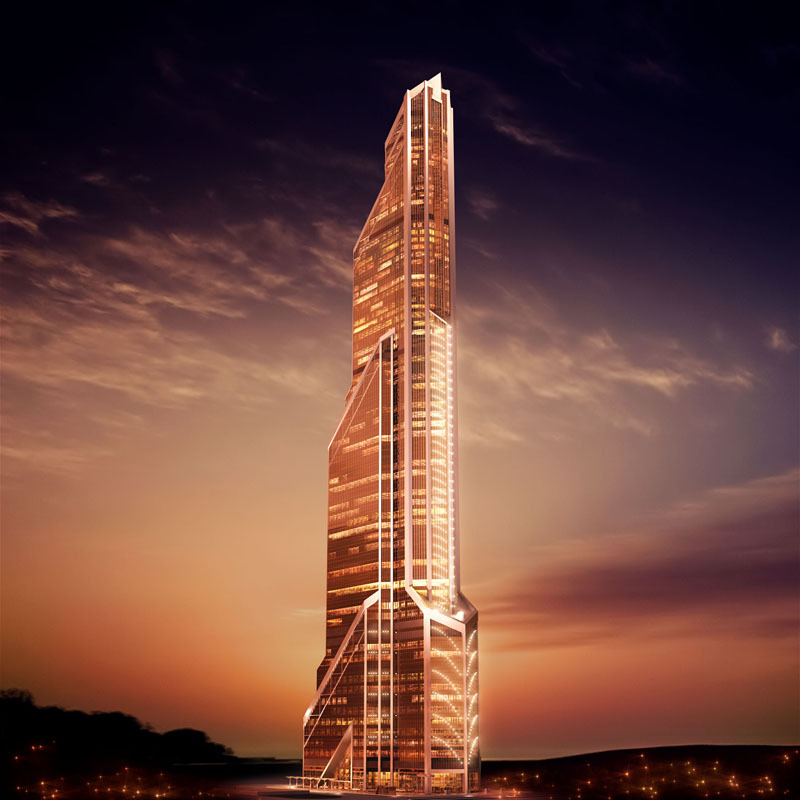 Thanks to its inimitable façade, the tower exhibits a constant glow that makes it appear as though it is continually immersed in the light of the sun on the horizon. 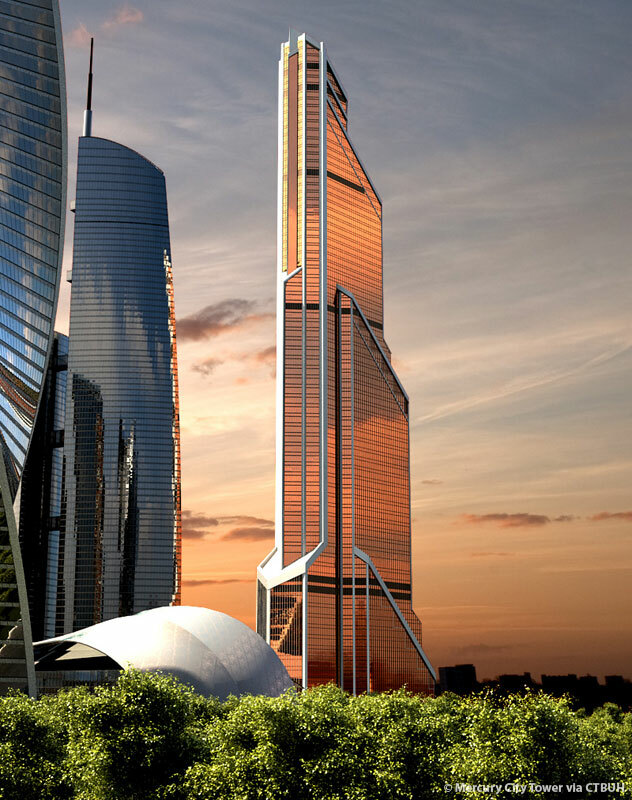 Along with its cladding, Mercury City Tower is memorable for its setback design. 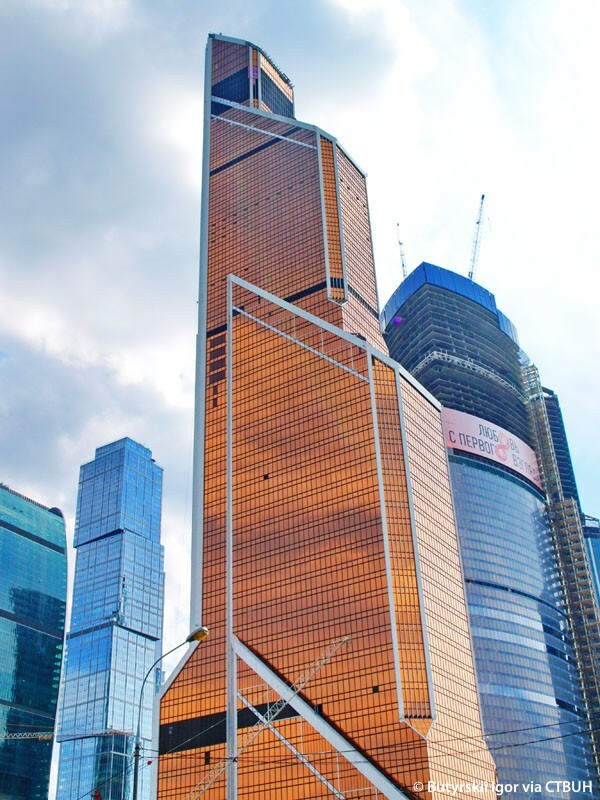 The building steps back twice along its northwestern façade, creating a tapering effect that augments the buildings height in tandem with the vertical striping that defines its corners. 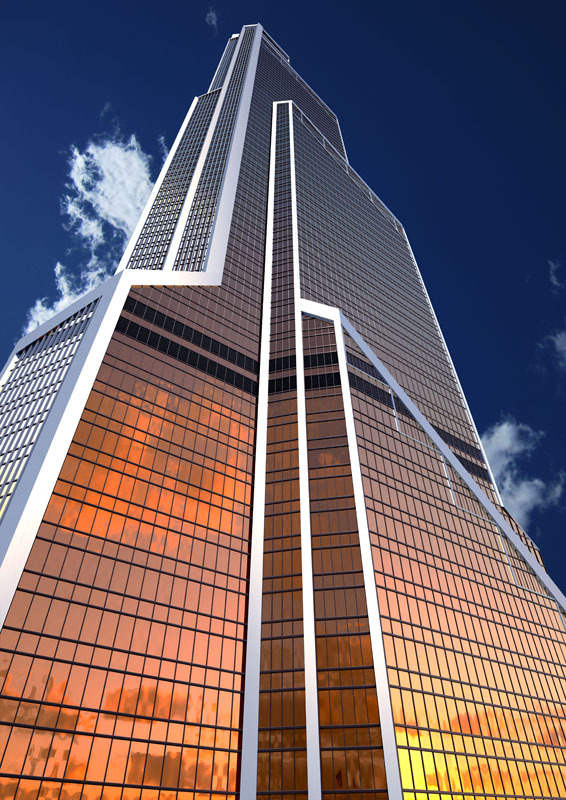 Each setback has a slanted roof that reinforces the illusion of added height. 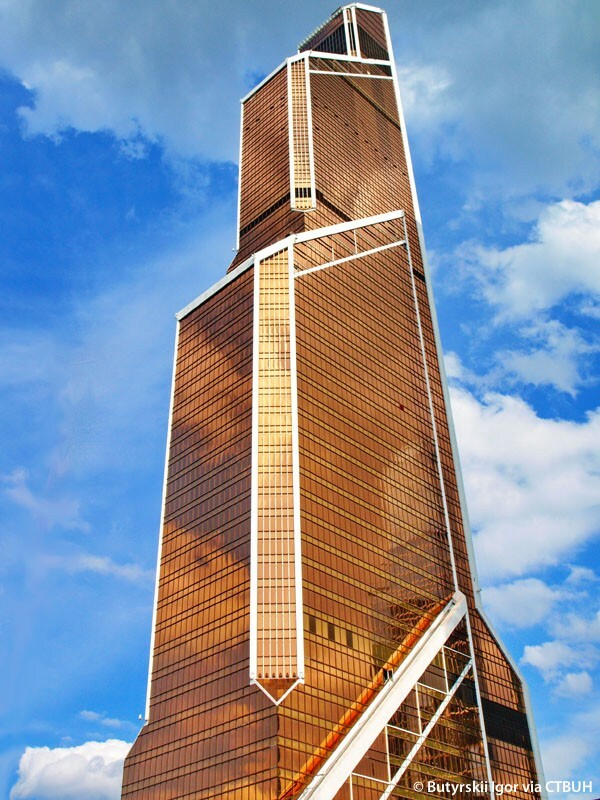 Though the tower is visually distinct, its façade lacks unnecessary adornments. 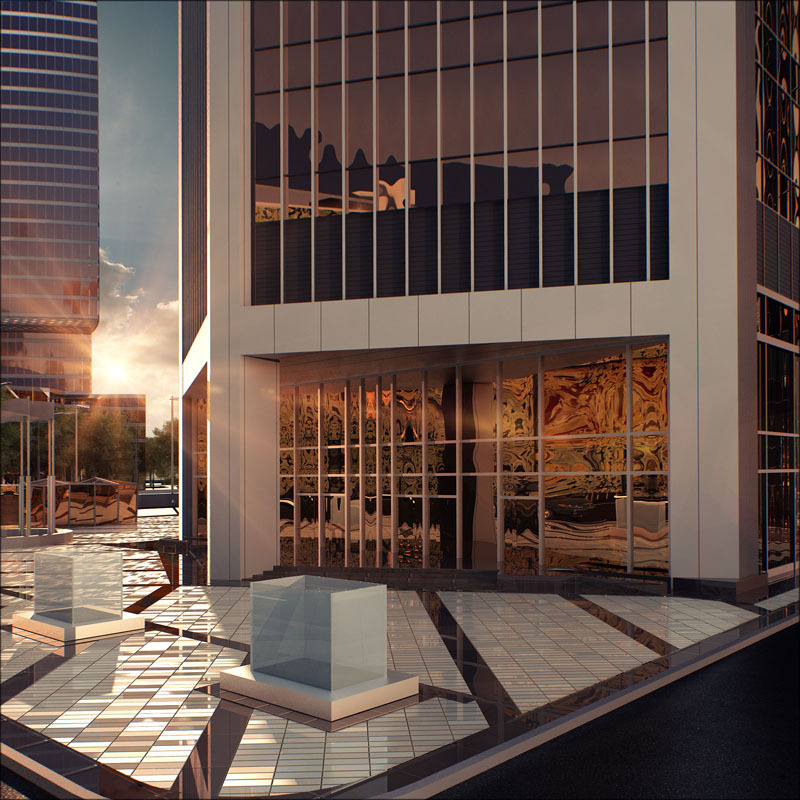 Rather, the structure and its cladding act together to create a purposeful, clean design. 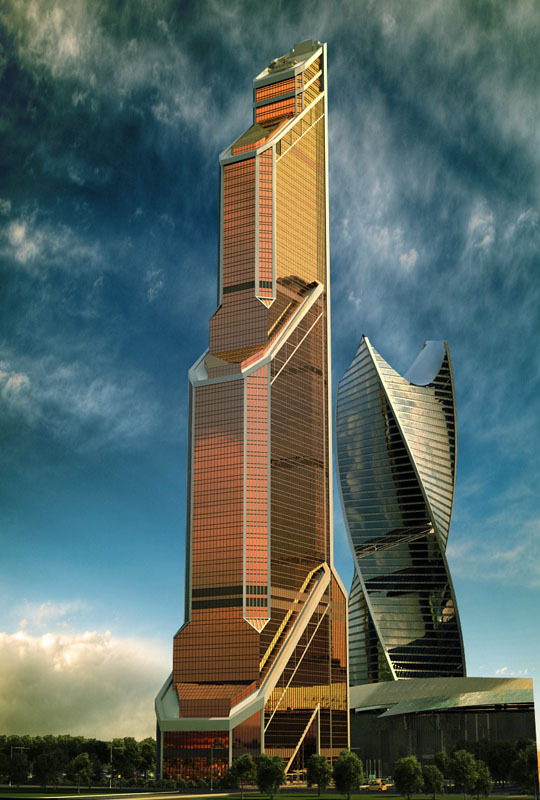 In this way, the building falls squarely into the Structural Expressionist style of architecture. 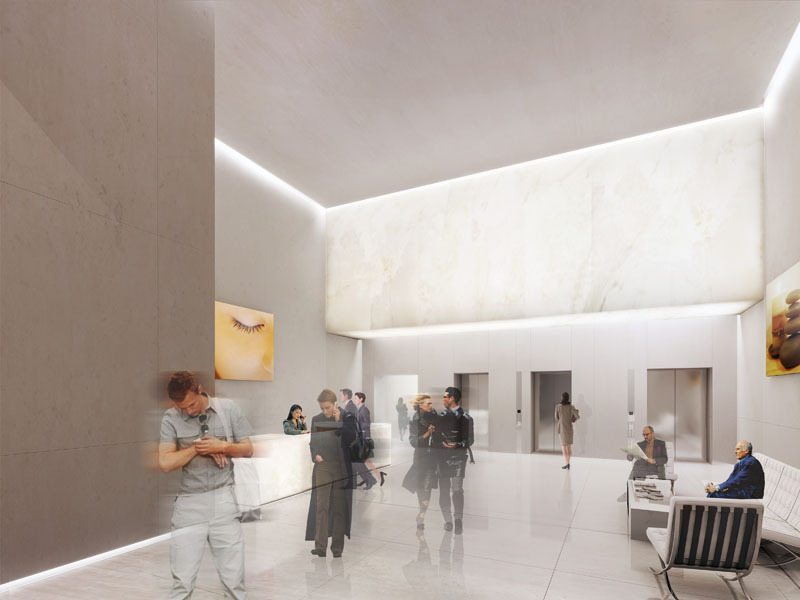 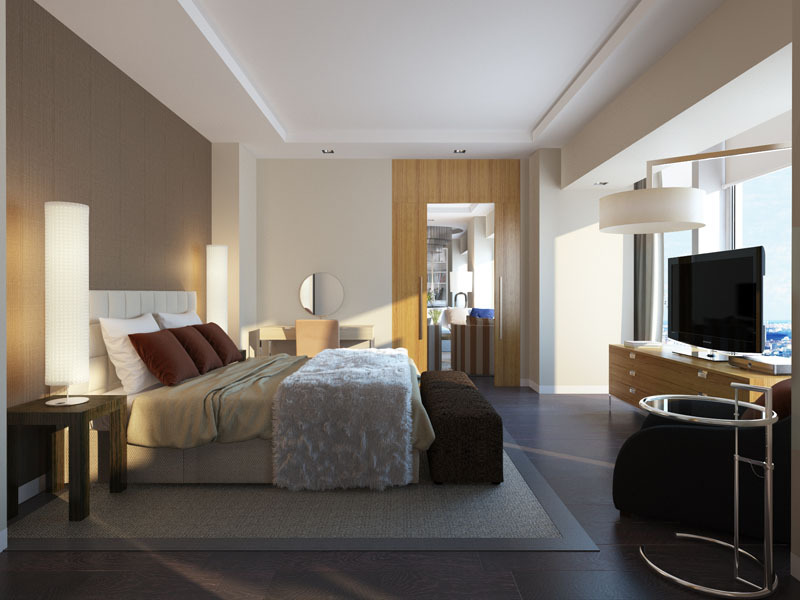 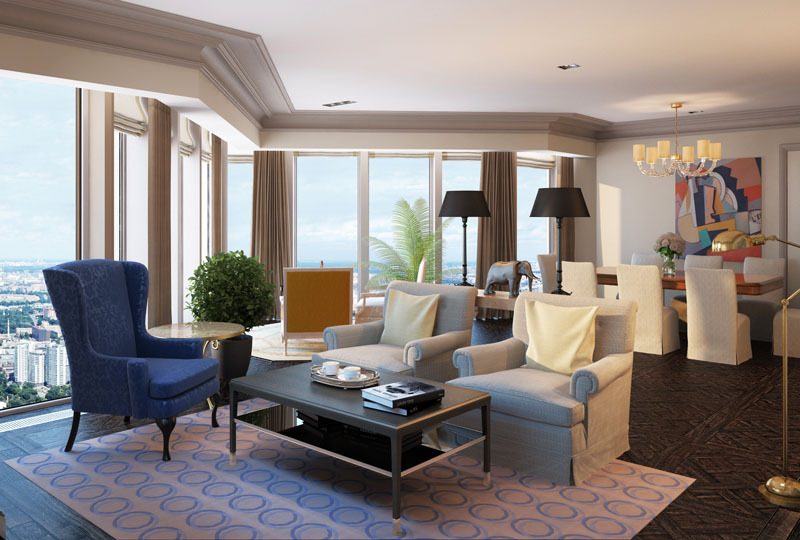 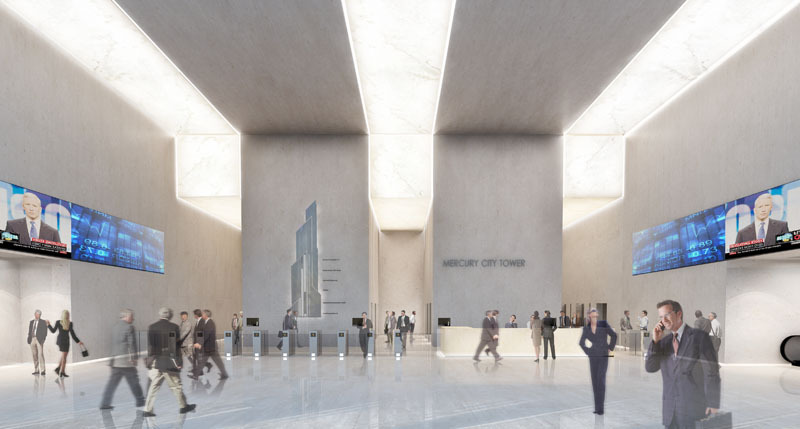 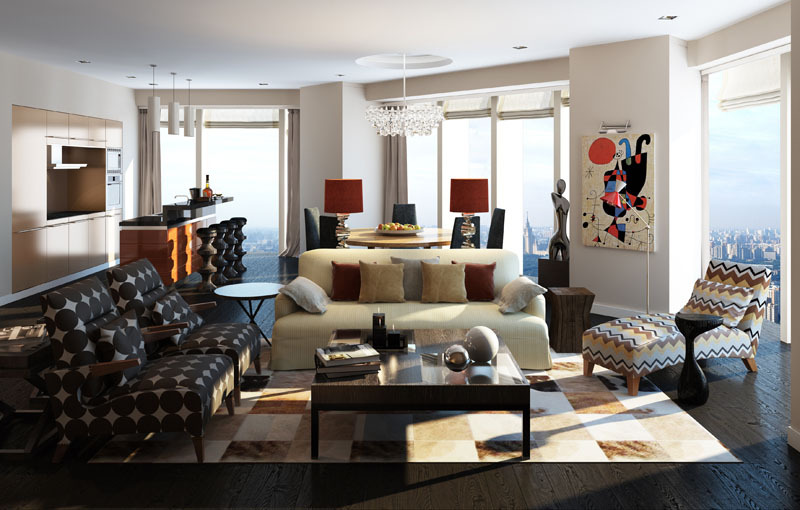 Located along the topmost floors, the building’s apartments are designed with the flexibility to merge units together, adding to the tower’s overall space efficiency. 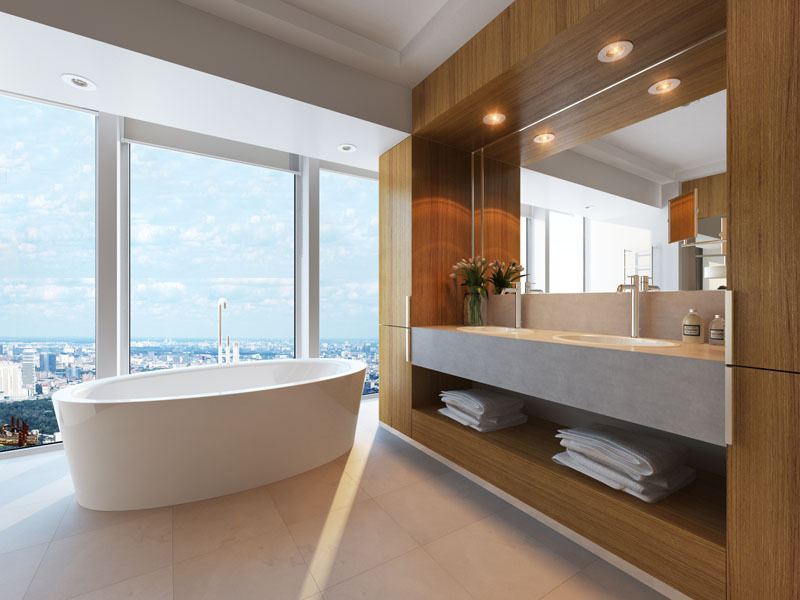 The building also features a smart “energy cycle” system that regulates energy usage, ambient temperatures, and hot water distribution throughout the development. 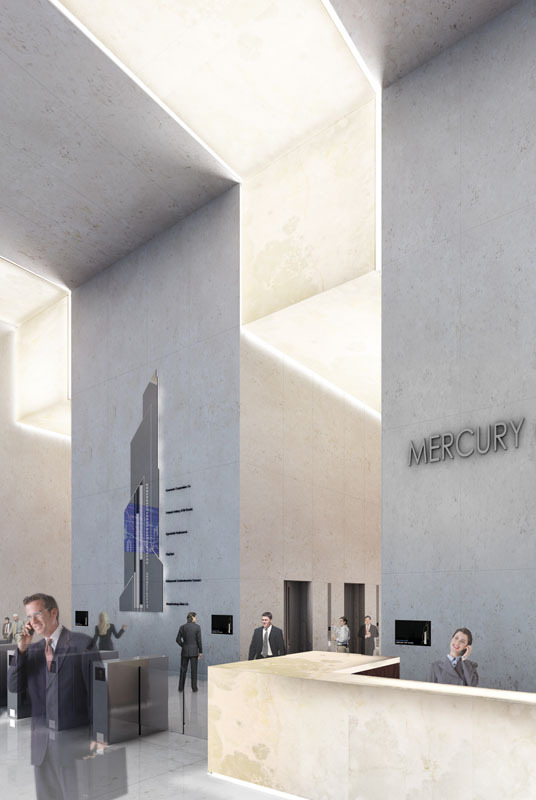 Although the design of Mercury City is in no way traditional, the typical three-part massing of the volume, comprising a base, core, and crown, imparts the Russian imperatives of strength, reliability, and stability.